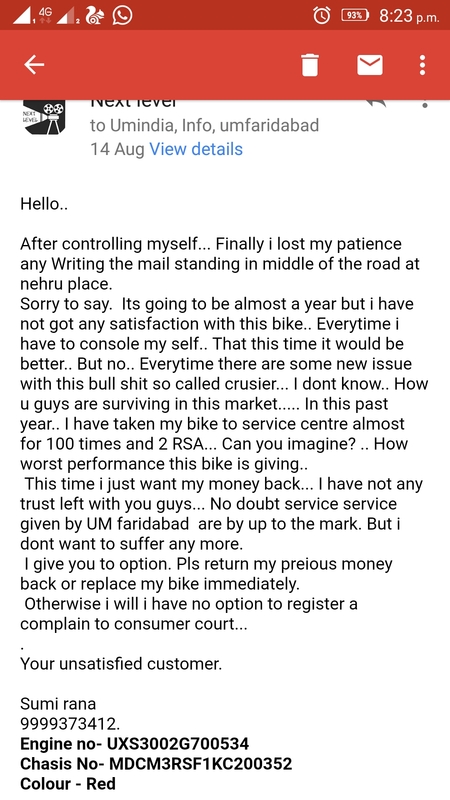 Since i have brought the bike in october 2016.. facing a lot of problem with it.. Every time bike stop in middle of the road... Problem i have faced: . Engine oil leakage. . Gear lever problm. . Ignition point problem . Rear wheel socket damaged. I am totally fed up. With the company. I have already complained many time to the corporate office for the same but still facing the issue Pls. Lodge my complain for the refund of my money or replacement of the bike.